Home Ask SISTRIX How can the noticeable decrease of backlink numbers in the SISTRIX Toolbox for many domains on September 19, 2012 be explained? 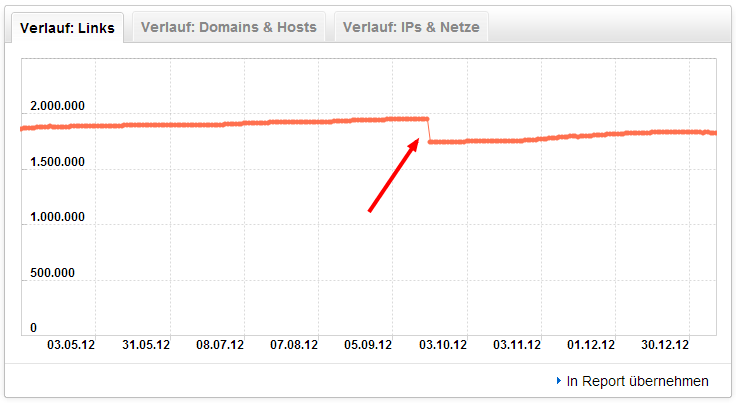 How can the noticeable decrease of backlink numbers in the SISTRIX Toolbox for many domains on September 19, 2012 be explained? We often heard feedback from users that say they want “fresher” links. We granted this wish and now remove links that are not found anymore from the evaluation quicker. We used to wait several months to see if the link might appear again, but now this process is shortened significantly. In a few cases this affects the total number of found links, but on average we do not see any significant movements in the evaluation. The deadline for this was September 19, 2012. How widespread are AMP results in the UK? Is Google or Facebook the main traffic source for publishers? If Not Dates in the URL, What Then?